In Europe there are two common types of threads used on immersion heaters fittings. 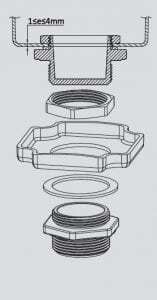 Threads according ISO 228-1, also said BSPP or cylindrical gas thread (G). 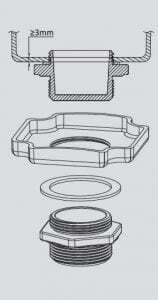 The threads are still sometimes described, particularly in France, according to their internal and external diameters. All these threads are parallel, and therefore requiring a gasket surface to ensure proper sealing. They are mounted on female nozzles, or throw wall with a nut. Selecting a thread diameter is mainly imposed by the minimum possible bending diameter of sheathed elements brazed or soldered on them. Threads of 1″ and below are therefore used on the cartridge heaters. Heaters are often screwed on nozzles welded on the wall of a tank or heater. 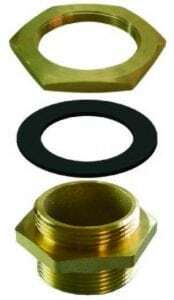 The seal is obtained by tightening a gasket, it is impossible to predict in advance what will be the position of the fitting and its connection box when tightening will be effective. 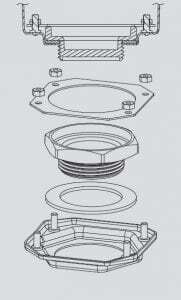 For this reason, internal ring fittings have been developed which allow the case to be rotated after tightening on the tank. 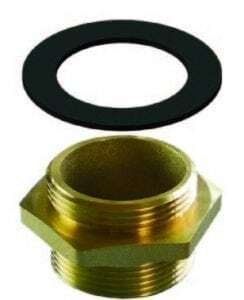 Simple thread fitting, simplified and lightened This type of fitting, designed for small domestic storage water heaters does not have any device to add an enclosure. Allows to use heating elements with ¼”QC terminals, that can be directly connected on rod thermostats. Tapping large diameters is difficult and taps are expensive. 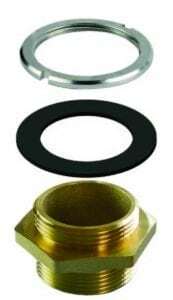 Economical because no need for locknut or threaded ring. Double thread fitting, assembled through hole, tightened with internal hexagonal nut The double thread fitting is expensive. 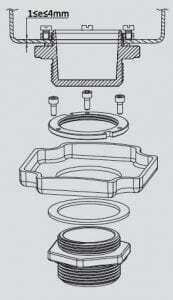 The large size of the nut limits the placement in the housings. 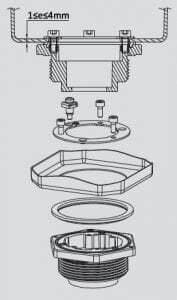 The orientation of the enclosure is possible during the installation on field. Double thread fitting, mounted trough hole, tightened by internal threaded round ring The double thread fitting is expensive. 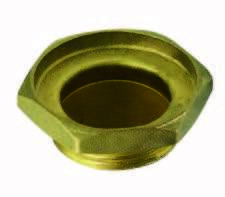 Double thread fitting, mounted trough hole, pressed by internal threaded ring with 2 or 3 tightening screw M4 or M5 The double thread fitting is expensive. 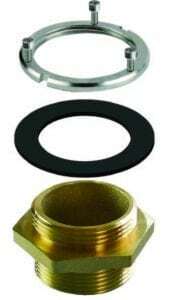 The internal threaded ring is expensive especially in large diameters. Orientation of the enclosure is possible during the installation on field. Easy orientation of the enclosure during the installation on field. 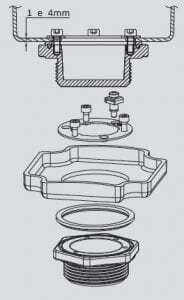 a special gasket must be used to obtain a good seal with the enclosure. Much cheaper than a solid machined fitting. The welded stainless steel fitting on a stamped plate has a removable base allowing to weld TIG directly on heating element tubes. Excellent resistance to saline or chlorinated water, (better than 316L or 316Ti stainless steel). Allows the mounting of simple and economical stainless steel or titanium heating cartridges. One of the versions has two pockets, independent of the heating cartridge, allowing the assembly of temperature sensors. 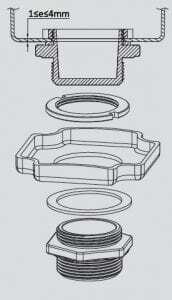 24.5 ¾” BSPP thread that must be tapped in the enclosure.